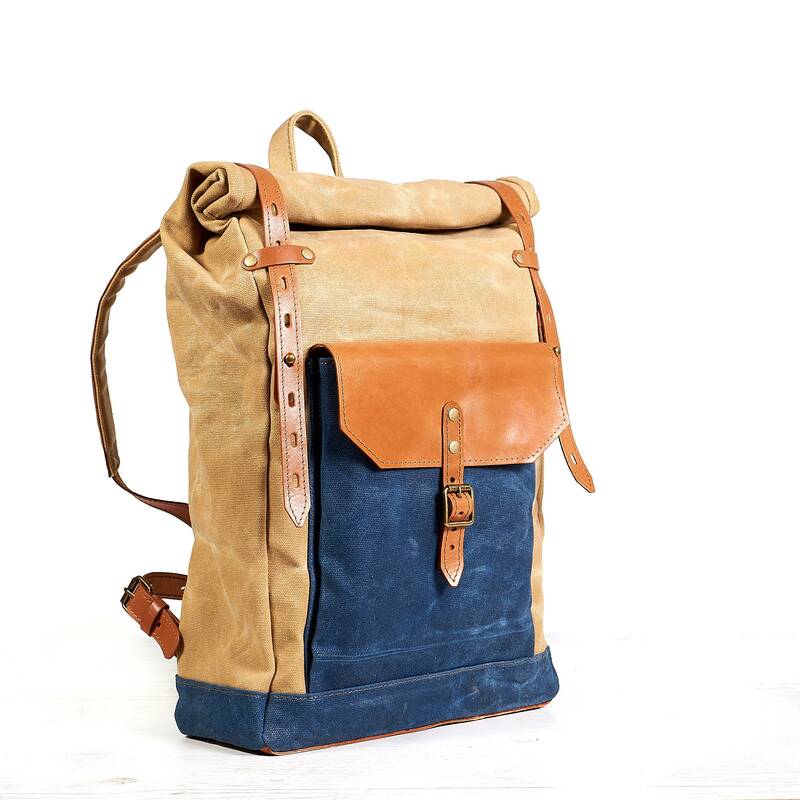 Roll top waxed canvas backpack. in navy blue and yellow. 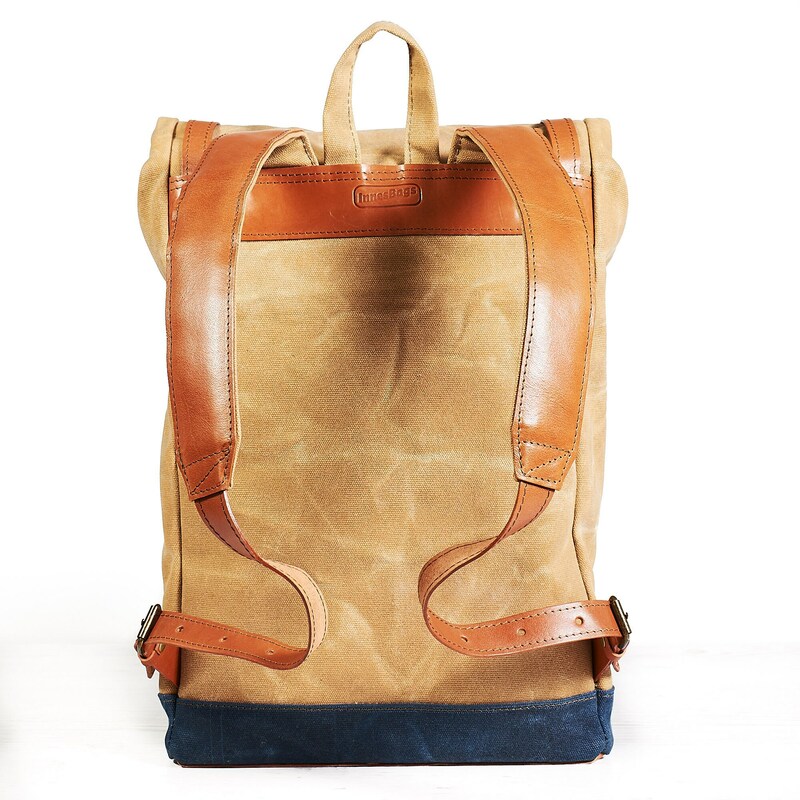 This simple and elegant roll top canvas leather backpack was made in the best traditions of minimalist clear design. It’s ideal bag for daily use, work and studying. 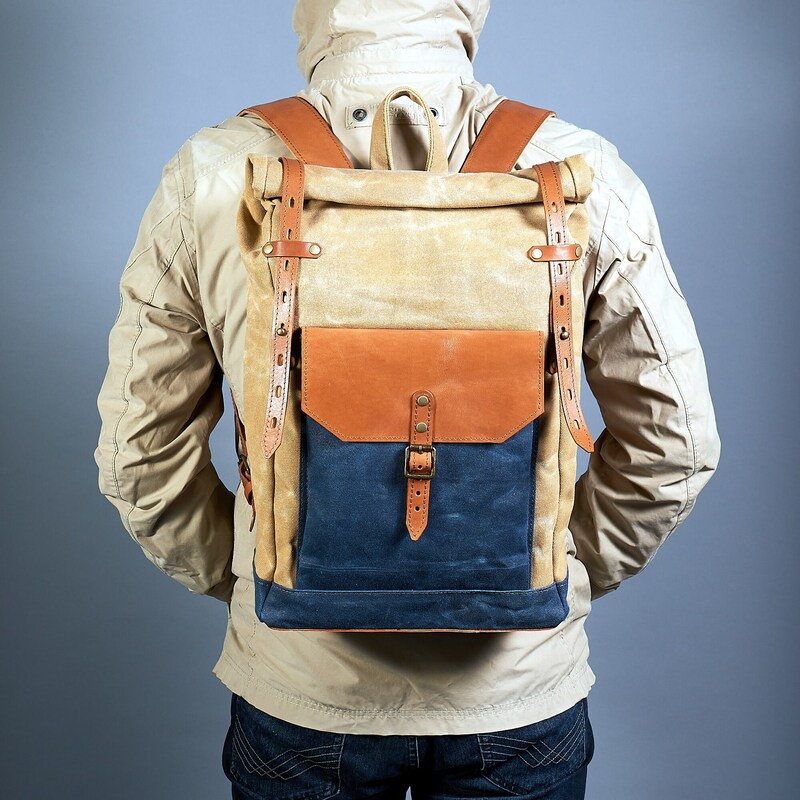 Backpack is made of a high-quality waxed canvas, natural leather, metal hardware, thick nylon thread and dense lining. 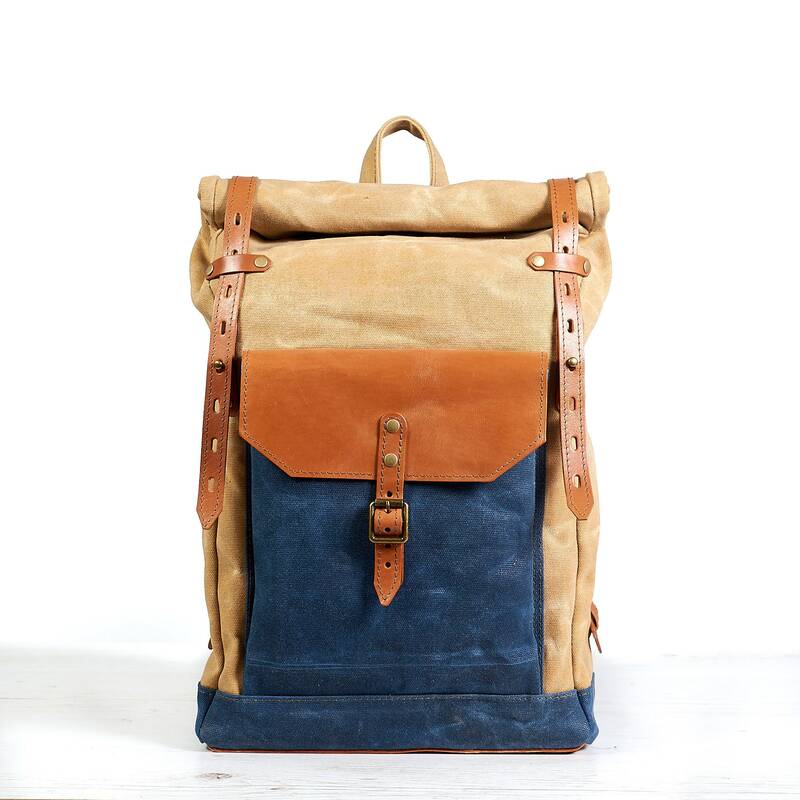 COLORS: navy blue, yellow canvas and orange leather. As a result of more than three years of experiments and work on errors, we created a very reliable and easy-to-use urban backpack. The backpack is made specially for 15 laptops. Ideal for work, study and short trips. 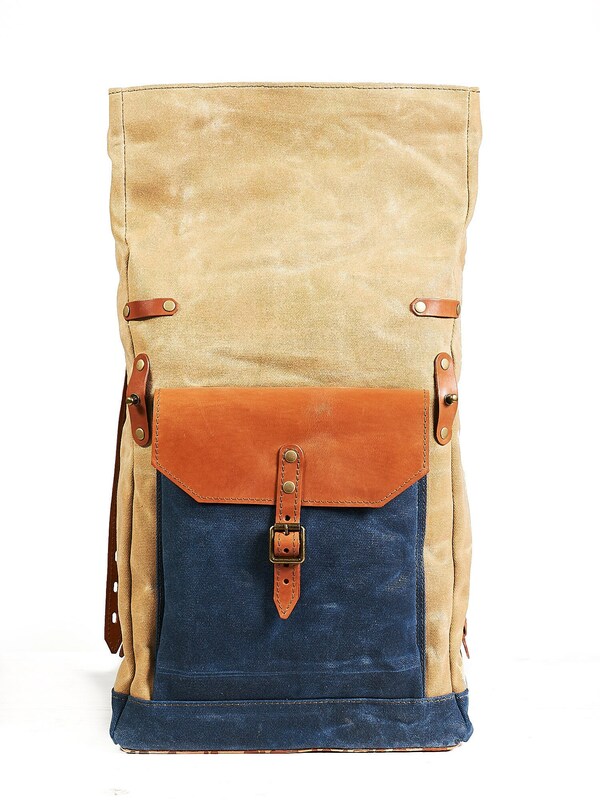 The shoulder straps are padded and made of leather and canvas. They are sewn on to back with 5 stitches and reinforced with a leather strap. Yes, we, as lovers of hiking, know that this is the weakest place in backpacks. Therefore, we make the connection of the straps very reliable. Big and comfortable front pocket for quick excess outside. Suitable for notebook, power bank/battery, napkins, etc. 2 side pockets as free option. Personalization (laser engraved initials or B/W picture) as free option. * A plain dyed lining developed for waxed jackets or luggage. the 100% cotton. More backpacks in other colours and designs.